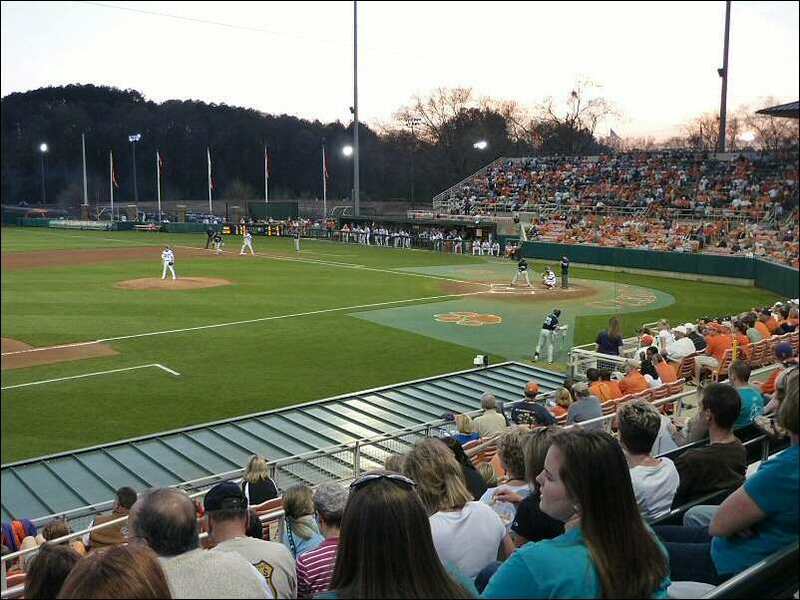 Debb and I went to a Clemson baseball game yesterday evening. Perfect day for baseball; 76 degrees, clear skies and a light breeze at game time. Much colder at 10PM when it ended! Tickets were $10. 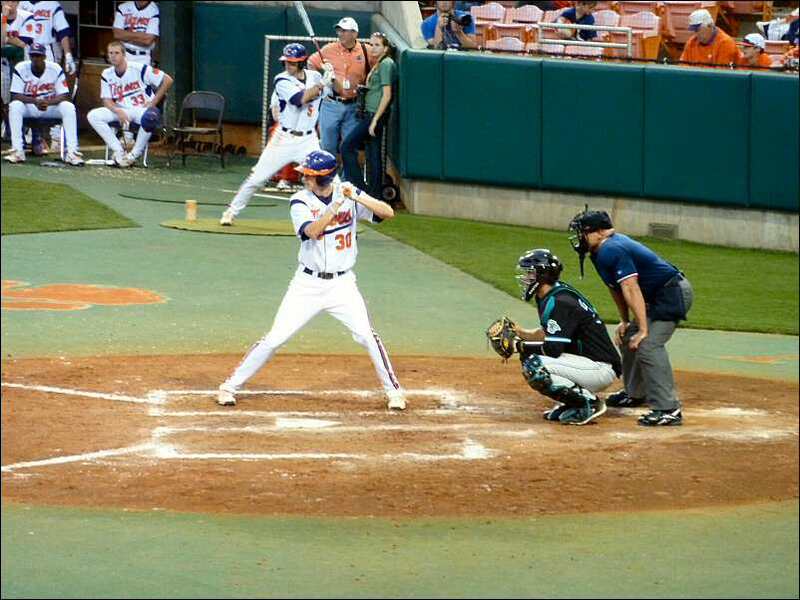 The game went extra innings and Clemson lost 4-3 in 11. A good game between two excellent teams, both nationally ranked. 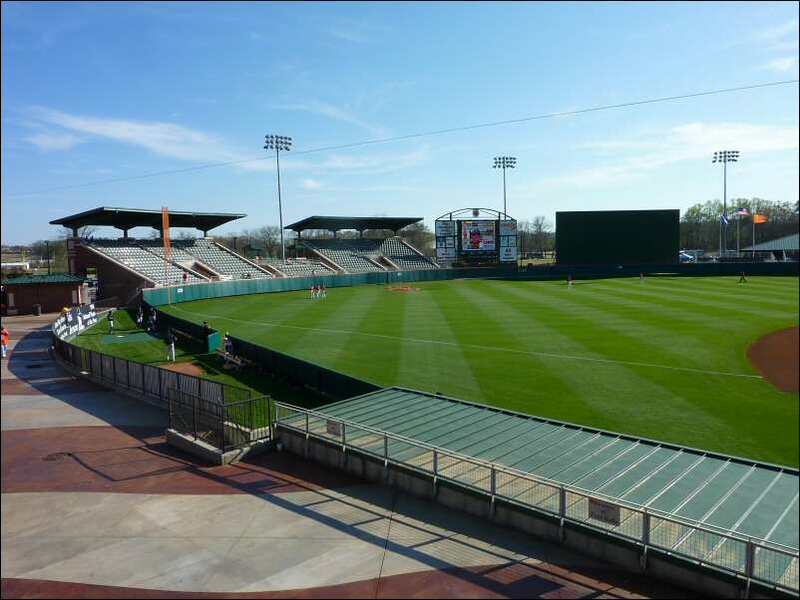 The stadium is a beautiful brick and concrete facility and holds about 5000 with stands all around the field. There were some empty seats, but not many. The playing field was manicured to perfection! There were 20 guys working on it before the game started. You get a sense that Clemson has a huge alumni base for support. There are signs everywhere for IPTAY members. It is an acronym that started years ago with the original booster/alumni club. "I pay ten a year". I suspect it has gone up some since then. Gorgeous campus on the water with superb athletic facilities, for sure. 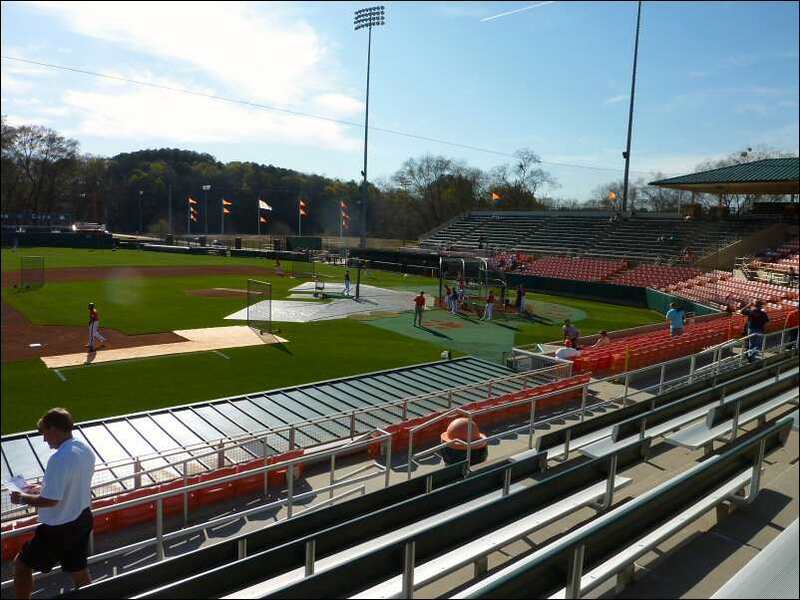 We sat with a couple from Spartanburg who are Clemson alumni and bring their son to a few games each year. He's an engineer for the BMW plant and she's a school teacher. It was a fun evening. Randall would have approved. A very nice facility. We came early and watched batting practice. T-shirts in March even after the sun has gone down. Gotta love it!